LAS VEGAS (AP) One year ago, the Vegas Golden Knights were in the midst of forming their first team. On Sunday, they were in the middle of the free-agent market as they look to fine-tune the roster for another run at the Stanley Cup Final. 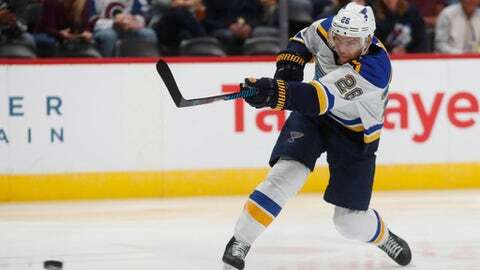 Stastny totaled 53 points (16 goals, 37 assists) in 82 games last season, appearing in 63 games with the St. Louis Blues before being acquired by the Winnipeg Jets on Feb. 26. During the 2018 Stanley Cup playoffs, the 32-year-old Quebec City native recorded a career-high 15 points (six goals, nine assists) and helped Winnipeg reach the Western Conference Final before losing to Vegas in five games. The second-year team also locked up bruising forward Ryan Reaves, who was acquired in a trade with Pittsburgh in February and proved to be an asset during the playoffs, and came to terms with free-agent defenseman Nick Holden, who McPhee said will fit in nicely after the departure of free agent Luca Sbisa. Both Reaves and Holden’s two-year contracts are reportedly worth a little more than $2 million per season. McPhee said the team also has signed forwards Brandon Pirri, Daniel Carr, Alex Gallant and Curtis McKenzie, defenseman Jimmy Oligny and goaltenders Maxime Lagace and Zach Fucale.